Lowchen: A Rare Breed Above the Rest! The coat hair is left natural and untrimmed on the forequarters and clipped close to the skin on the hindquarters with little cuffs of hair around the ankles and a small plume on the tail. Does clipping a dog in this way make it seem bigger than life? Well some Löwchen, even though they are a small breed, think they are much bigger. But the distinctive look is not really the reason people fall in love with this breed. They are intelligent, affectionate, lively and outgoing. Did I mention that they are one of the healthier breeds? Great health along with active, playful personality might make this the perfect companion for families, couples or singles. They do great with children and excel in agility and obedience. This breed is usually fine with people who suffer from allergies. There is little dander, and the Lowchen has hair, like humans and not fur. 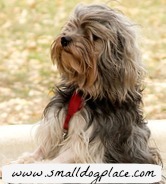 They do loose hairs, a few at a time, but are not considered a breed that sheds. Regular brushing removes loose hair so your furniture will not be covered with it when a Lowchen gets up from a nap. The Löwchen does not need excessive exercise but does enjoy a daily walk. Most of his exercise needs can be met usually as he follows you from room to room or during a brisk play session indoors or out. We know that Lowchen history can be traced back to the 16th century because they are well represented in period paintings, tapestries, wood carvings, and drawings. Artwork shows the breed sporting the lion-trim, so it is possible that this grooming style was being used early on. 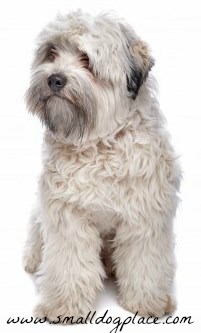 The Lowchen breed began in Europe, and is thought to be related to the Bichon and Havanese, though the exact origins of the breed remain obscure. Theory has it that they were brought to Europe by travelers from the Far East especially Tibet. Once in Europe they mingled with local Spitz and terrier type dogs. They were companion dogs to the wealthy and elite ladies of the court and often served as foot warmers and comforters. Belgium, France, Germany and Russia all claim to be the country of origin of the breed, though a dog which surprisingly resembled a Löwchen in a lion-trim was depicted in the 16th century German painting. Maltese Lion Dog has been dubbed the earliest name given to the breed until it was renamed Bichon Petit Chien Lion by a French naturalist. Since then, the French has determined that they were the country of origin. The breed seemed to be very popular during its early history, but for unknown reasons, eventually grew rarer and rarer over time. 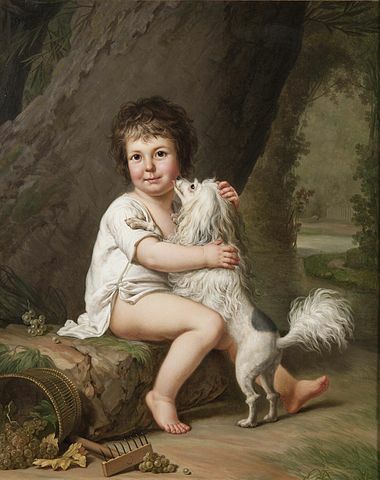 A Löwchen fancier named Madame Bennert of Brussels is credited with saving the breed through her extensive breeding efforts that began right after World War II. She wanted to save the breed, so she found two females and one male and later located another female. All current Löwchen dogs can be traced to these roots. Soon after, the breed’s numbers began to increase, and during the late 1960s and early 1970s, the breed was finally introduced to Great Britain in 1968. The United States saw their first members of the breed in 1971, and then to Canada and Australia. The Guinness Book of Records listed the breed as the rarest breed in the late 1960s. 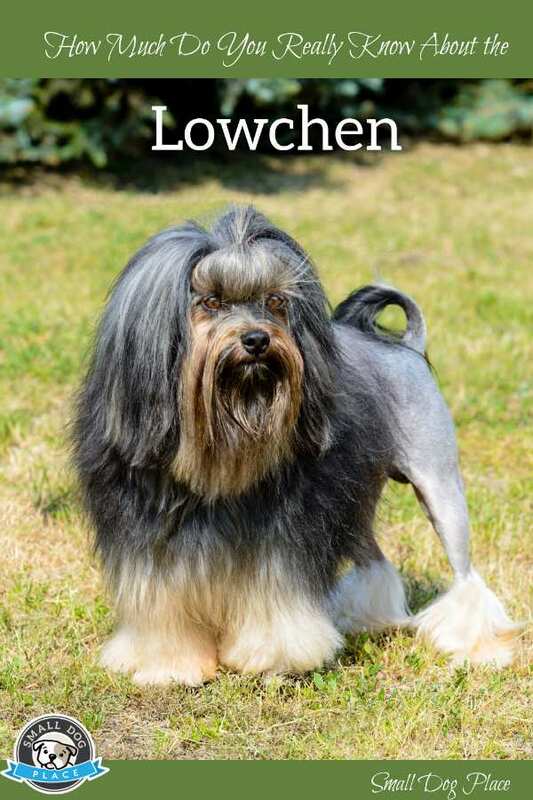 By 1996, the Lowchen was received into the AKC Miscellaneous class and then recognized in the Non-Sporting Group in 1999. Someone forgot to tell the Löwchen that he is a small dog because he thinks of himself as a BIG dog. They make devoted companions and do well with children in the household as well as other pets. Children should be taught how to treat a dog gently, and as with any small breed dog, not child should be allowed to tease or torment them. Some call them clowns, so if entertainment is what you are looking for, this might be a great breed for you. There is never a dull moment—they will let you know what the neighbors are doing, when a squirrel runs up a tree or just in case, you’re not paying attention, they will announce themselves, so you won’t forget they are around. They are not a breed to be ignored. They are bright and easy to train and make great watch dogs. They excel in agility and Fly Ball due to their great athletic abilities. Water sports may be an option if you end up with a Lowchen that likes the water. Not all love water, though. They are still aver relatively rare breed, to getting one might be a problem. You are likely to pay more for a rare breed than one that is very popular and easily obtainable. The Löwchen has a relatively distinct coat. Although they grow a single coat that grows long all over, it is composed of heavier guard hairs and finer undercoat. The traditional lion-clip is what distinguishes it from other long hair breeds. Many people think that the dogs just “come that way.” Nope, they need to be shaved to achieve that Lion Dog Look. Normally, the dog is shaved down to the first rib, leaving the hair natural on the rest of the dog. While the Lion Clip is used on show dogs, non-show dog owners often choose to keep them in a puppy cut that is easier to maintain. For pet owners, puppy trim can be maintained by professional grooming approximately every 2 months. For a Lion Clip, the hindquarters are shaved; one-half of the tail closest to the body is clipped leaving a plume in the end, and the feet are trimmed just like that seen in the poodle. The legs are trimmed leaving a cuff or hair from the elbows to the feet. The front legs are clipped except for the cuff of hair and the body hair on the shoulders which is left long and flowing over the legs. Besides the trims, their thick coats need to be brushed regularly to keep mats from forming. Toenails will need to be trimmed, teeth brushed, and the dog bathed occasionally. The Löwchen is a healthy breed with few specific genetic problems. On average, they can live to be 15 years old. But as with all dog breeds, aging can bring on problems such as cataracts or congenital heart disease. Cushing ’s disease has also been identified in older members of this breed. Cushing’s disease or syndrome occurs when cortisone increases in the system usually due to a benign pituitary tumor. Teeth Problems: Some puppies have long roots on their deciduous teeth making them difficult to fall out naturally. Sometimes the baby teeth need to be pulled so the permanent teeth can erupt. This is usually not a problem as most vets will examine the mouth during the time of spay or neuter and remove any remaining baby teeth. Freeway, an unclipped Löwchen, was featured on the popular television show, Hart to Hart. The breed club chose to keep the long tradition of the lion trim, even though many would prefer to let the dogs remained unclipped.